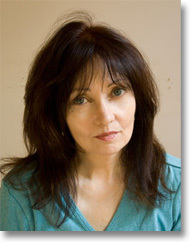 Alice Fulton's first fiction collection The Nightingales of Troy was published by W.W. Norton in July 2008. Her most recent book of poems is Cascade Experiment: Selected Poems. Fulton's book Felt was awarded the 2002 Rebekah Johnson Bobbitt National Prize for Poetry from the Library of Congress and selected by the Los Angeles Times as a Best Book of 2001 and as a finalist for the Los Angeles Times Book Award. Her other poetry books include Sensual Math; Powers of Congress; Palladium; and Dance Script With Electric Ballerina. A collection of essays Feeling as a Foreign Language: The Good Strangeness of Poetry was published by Graywolf Press in 1999. She has received fellowships from the MacArthur Foundation, The National Endowment for the Arts, The Ingram Merrill Foundation, and the Guggenheim Foundation. She's currently the Ann S. Bowers Professor of English at Cornell University.